How to grow a Vertical Herb Garden without breaking the budget. Creating your own vertical herb garden doesn’t have to break your budget, or your back. 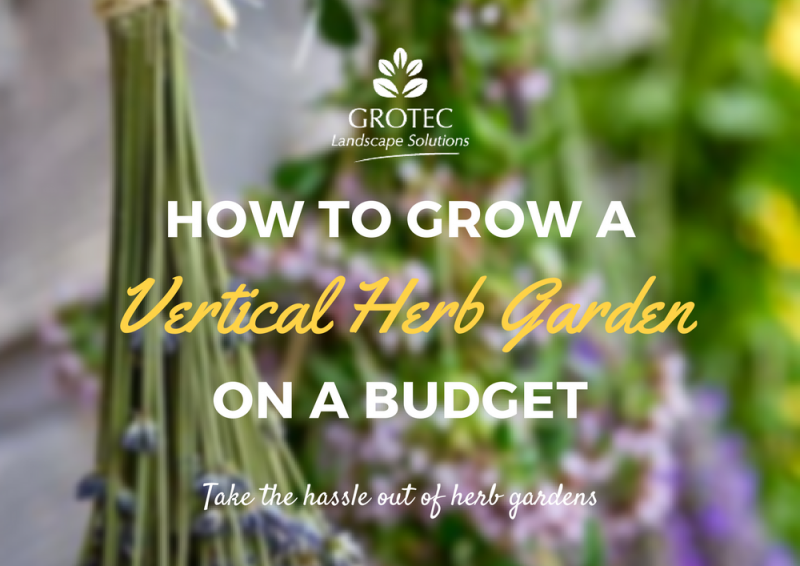 Grotec is here with a simple and easy way to explain to you, the what, why and how of a vertical herb garden. I know that some people find these things absolutely joyous, but I’m ready for a change. 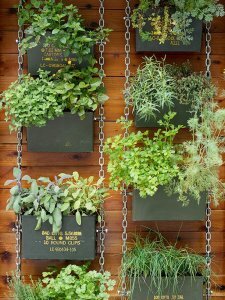 Creating and maintaining your own vertical herb garden is easy, fast and you’re able to sit back and enjoy your own tasty creation from the very beginning and right through to the dessert. Say goodbye to the bend and harvest, why not just stand and harvest? Basil, chives, parsley, rosemary, sage, mint (just to name a few) and even some cheeky chilli if you like your food hot. Your imagination is the limit and the diversity of herbs is endless; and the D.I.Y opportunities are a budget friendly person’s ideal project. You can use a wide range of ‘Herb Holders’ for your vertical garden such as wooden boxes, the bottoms of plastic bottles, ice-cream containers, pots, hanging baskets, buckets, and even that old cooking dish you got as a house warming gift (thanks mum). Just make sure whatever you use has some drainage holes at the bottom to release any excess water; if not, just grab the tools and add your own. Once you’ve picked the perfect herb holder you’ll need to decide what your vertical herb garden will be sitting on, in or with. This could be a ladder, wooden pallets, the smelly shoe rack (wash it first) hanging from up high or mounted to a wall, the list goes on. Your design can have the option to move the holders into or away from the sun, to maximise the efficiency of the whole vertical garden concept. 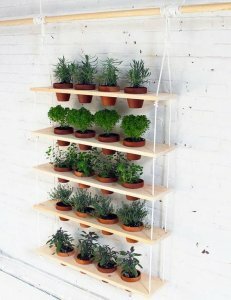 You can place your herb holders on your vertical garden stand and play around with how it sits, looks and is held together by using things like wire netting, rope, velcro or even just the classic Aussie favourite, super glue. Want to get the kids involved? Let them decorate the holders! You can add almost anything to make it your own style or just keep it minimalistic and simple. Fill your holders with a high quality potting mix that is suited to your herb selection and splash them with water every few days, but be careful, it’s not a fish. With plenty of sunlight, fortnightly foliar feeding with a mix of Seasol and Powerfeed and the occasional dose of shade, soon you’ll have your very own vertical herb garden that is fresh, free and full of life. Grotec would love to see your tasty creations. 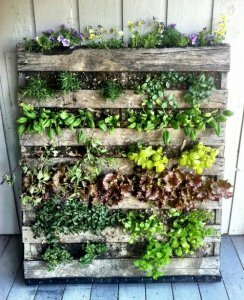 Send us through some photos of your vertical herb garden to be featured on our page. Going green thumb doesn’t have to be boring, costly and time consuming when the team here at Grotec have plenty of quick projects and garden advice we would LOVE to share with you.